When you go on vacation, your house is left empty, making it vulnerable to potential burglaries or accidents. Vacations are all about relaxation, so you don’t want to spend it worrying about your home’s safety while you’re away. That being said, you will want do what you can to secure the property before you leave. This checklist will help you prepare your home as you get ready for your vacation. Make it appear as though you’re still at home. Either have the post office/newspaper provider hold your mail/newspapers or have someone come to your house to pick them up. If they begin to pile up, it will be an obvious indicator that you’re away from your home for an extended time. Ask a neighbor to occasionally park at your home to make it appear as though someone is still coming to and from your house. If your grass begins to grow too long, it will be clear that there’s no one around to maintain it. Knowing this, get someone to mow your lawn and conduct other landscaping maintenance. Get a timer for the lights in your home. That way, come nighttime, lights will be on in your residence to make it look like someone is using it. Avoid posting on your social media about being away. This will let your followers — and anyone else if your accounts are public — know that your home is empty. If you can, get a house sitter to look after your place. This is especially helpful if you’ll be gone for an extended amount of time. Limit your home’s potential for crime. If you have hidden spare keys outside in case of an emergency, bring them inside. Make sure all doors, windows, entrances, and other openings are locked before you depart your home. Park your car in your garage so that it is less accessible to vandals. This also protects your vehicle from the weather and other outside sources. You can take extra precaution by installing a home security/alarm system. 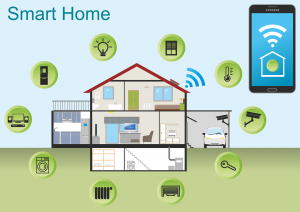 Some of these systems even allow you to see your home while you’re away, so you can still keep an eye on your residence. Install motion-sensor lights outside your house. These lights tend to keep unwanted visitors away from homes. Wash any dirty dishes so that they don’t sit there while you’re away. Clean your toilets so that any dirt doesn’t continue to build up when you’re gone. Vacuum flooring to get rid of dirt and dust. Do laundry, and make sure all loads have been dried so they don’t sit in your washer. Clean out your refrigerator by throwing or giving away any food that will go bad while you’re away. Also, place an open box of baking soda in your fridge to absorb any odors. To limit the potential for musty air, open all closet doors. Programming your thermostat for your vacation guarantees that your home will remain at a safe temperature and humidity level. You also avoid wasting money and energy spent on adjusting temperatures for your personal comfort. You don’t need to make such adjustments while your home is empty, you just need to set the thermostat to the proper temperature for the season. This also guarantees that the temperature is appropriate for any plants and furniture in your home. In the wintertime, 60 to 65 degrees is an ideal range for your home. The summer AC should be set for 75 to 80 degrees to avoid condensation mold or humidity damage to wood. When you’re away from your home, most of your appliances don’t need to be plugged in and running. You should unplug any unnecessary electronics and appliances before you leave. You’ll want your refrigerator to remain running, but your computer, clocks, televisions, microwaves, and other appliances don’t need to remain plugged in. By unplugging these, you not only limit excessive, unnecessary power usage, but also reduce the potential for an electrical fire. This also prevents electronics from suffering damage or becoming malfunctioned by power surges. If you’ll be away from your home for a long time, then you may want to consider shutting the water off for your toilets, sinks, dishwasher, and washing machine. This prevents any accidental leaking or ruptures from occurring. When you prepare for your upcoming vacation, keep the aforementioned tips in mind to help get your home prepared as well. By doing these tasks, you can prevent burglaries and accidents from happening to your property. However, even the best preparation can’t guarantee 100 percent protection. Sometimes unforeseen events, like weather-related incidents, occur. 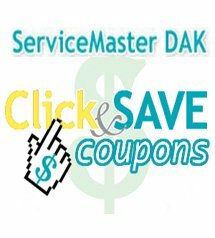 If you return to your home only to find that there has been water damage, don’t hesitate to call our professionals at ServiceMaster DAK for water damage restoration. 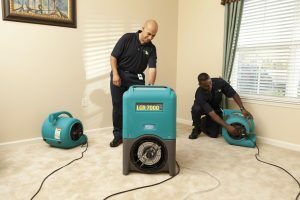 Our technicians have the experience and the equipment to deal with any type of water damage that occurred while you were gone, from a leak to in-home flooding. 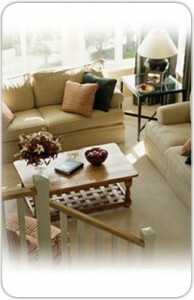 We will work quickly to restore your home as well as your peace of mind.